My Intern is originated with a view to examine role of buying houses in marketing the garment products abroad. Through the report I have focused on the effectiveness and efficiency of buying houses related to their various activities in the total marketing process of RMG products and the constraints stand against to their efficiency and effectiveness. I have gone through this research as a part of the primary role of this company is to bring order of various trypes of garments products from foreign buyers of developed countries and distribute these orders to local garment factories in exchange of a certain commission. The practical knowledge of work I have achieved from Merchandising inc has provided me the base of my investigation. Although the highest foreign currency earners, the sector of exporting the garment products from our country to different buyer countries does not prove itself an easy working domain. A lot of problems are scattered all over in the marketing process of garment products to different countries. As a novice of internship in the Merchandizing Incorporation I have observed the problems which it is facing in its all over marketing process. Some of the problems lie in the part of garments sectors and residuals may be found in the counterpart of its relted working domain. As a fresh achiever of knowledge I have tred to investigate the problems of export the garment products from its surface to the bottom and tried to find out the possible solutions. Modern management has transferred itself from a production to a sales orientation and finally to marketing oriented view of business. The Marketing Concept is a philosophy and like any philosophy it cannot be defined with precision. It is in fact an attitude governing the whole management approach. to the firm’s. operations from step to step. One of the recent slogans of today’s economist is ‘ either export or be ruined’. They are not willing to show any other path ‘between this. The present export pattern of Bangladesh has changed. gccording to the above slogan. Now eight commodities have taken the position of 93% of the export earnings and ready made garments is one of those. Major products of Bangladesh Ready-made Garments industry for export Marketing are woven shirts, trousers, Jackets J-shirt, short Briefs and major Buyers of Bangladesh Garments are the USA, EEC, Canada and other European Countries. The export earning from garment sector increased steadily from a meager amount of US$ 3.24 million in 1980-81 to U:S$ 1064.00 million in 1991-92 and to US$ 1240.48 million during the fiscal year ended June in. 1991-92 and US$ 1310 million in 1992-93 fiscal year. The contribution of this sector to the total national export earnings increased from 0.40% in 1980-81 to 69.41% in the year 1992-93. Buying Houses of ready-made garments have developed with the growth of garment export of our country. It is the combination of all marketing activities relating to searching foreign garment buyers for the order of garments products, taking order of ready made garment products form them, placing order to local factories and providing overall support to the both prospective buyers and suppliers. It has not been a long time since Gannents Buying Houses have started sprouting up here and there. Only a few years back where it was difficult to find a re1iable and quality Buying House, but now, there are so many of those. Buying Housing industry is one of the essential supports of¬ Garments Export. In one hand foreign Buyers of garment products are largely dependent on this industry for searching suppliers, who are capable to produce and supply buyers demanded products. In other hand garments producers are also dependent on this industry for searching buyers, who places the order of certain garment item such as sweater that the producer produces. So the relationship between garment industry and buying house industry are interdependent. The existence of one without other is hardly possible. The reason for this again exporting garment product involves so many stages from marketing to distribution, which is not possible by any single group to do alone. For the convenience of both buyers and suppliers, the buying house industry today has developed enormously with a vision to perform marketing and distribution task of garment industry. In the business world today no major player in apparel industry can ignore capability of Bangladesh in offering qualitative and valuable products. Merchandising Incorporation has the capability of providing a bridge between our overseas customers / buyers and local manufacturers in Bangladesh to ensure quality, services, timely deliveries and adherence to buyers quality standards. In today’s world the key to success of any buyer is to identify- the country to source the right product at right price. This is where the company – is step in to cater the buyer needs regarding communication, quality and most of all timely delivery. Merchandising Incorporation is a service based organization with basic objective of providing marketing related services to local garments manufacturers and working as a representative of foreign buyers. • The company started its business operation in 1995 with a well¬ decorated office at Mirpur Shewrapara, Dhaka. Initially the company used to bring order of gannent products from American buyers. Later it also entered into the European market and started to bring order from the buyers of Italy Spain, and Switzerland. • In 1997, for better quality service to local manufacturers the company started to supply garments accessories to the garments manufacturers. through its company owned accessory supplier named F.M. Printing and Packaging Ltd. For a smooth manufacturing the assurance of on time delivery of fabric and accessories is must. To assure this supply, Merchandising Inc. utilizes two sources. One is its sister concern FM. Printing and Packaging Company. Another is the outsourcing from its suppliers of long term relationship. As a result the manufacturer doesn’t need to be worried about the availability of accessories. • By arranging all the accessories for suppliers, the company reduced the work pressure of its suppliers by helping them only to concentrate on production. • Besides supplying accessories the company also control the product Ql1ality of the suppliers by sending its quality inspector to the factories. Thus the company ensure the quality of the suppliers products. • For the distribution of the final goods the company recently opened a company owned shipping agency named NEFF A Freight System Ltd. with objective to carry goods from factory to the port and prepare all necessary documents for exports. When the order of the buyer is ready this company take the responsibility of loading the goods on the ship with all necessary steps. They also prepare and arrange the necessary documents for export such as bill of exchange, bill of lading, commercial invoice, certificate of origin, packing list etc. • As a representative of foreign buyers, the company make a product sample for the buyer according to buyer specification. • The company also search for a good supplier for the buyer to execute his order. • Finally the company take the responsibility of inspecting the suppliers product to ensure that the product is at right quality and in right quantity. • The company maintains a constantly high standard of business conduct, ethics and social responsibility. It takes pride in the efficiency of what it does and always employes the most effective and latest technology available. Their most important asset is the people who make up the company. • The company is committed to growth and improvement of all aspects of its operation and willing to be a leader in the industry. Searchinq bullers: The task of this department started with the searches of buyers, who want to import garment products from our country, to get the order of the garment product manufacturing. Introduce letter: After finding suitable buyers this dept. issues an introducing letter to the respective buyers which describes M. Inc.’s total years of experience, its parameter of total activities, efficiency and effectiveness and relationship with existing buyers. CM: CM is another important activity that stands for Cost of Making. Here the merchandiser of this dept. determines what are the things are required to make an unit or dozen of an order. Then he makes calculation’ of per unit cost on the basis of accessories consumption, fabric consumption, labor cost and other relevant costs. Price negotiation: When this department has the clear idea about the cost involved in the desired transaction they start price negotiation to determine a final price that the buyer agrees to pay. Select supplier: Merchandising department recognizes the effectiveness, of their commitment to buyers and there by it shoulders the responsibility of finding out efficient buyers. The bases of efficiency include supplier’s adequate administrative setup to prepare all necessary documents for exports, supplier’s financial status and adequate capacities etc. It starts its activities after receiving the original sample or sketch sample from the buyer with an ,intention to testify the capability of M. Inc. to meet the desired standard of the products. Two people contributes toward the efficiency of sampling dept. They are sampling man and pattem master of M. Inc. The commercial department of M. Inc prepares pro-forma invoice for the respective buyer. The invoice includes the quantity of the buyer’s order, its unit price and total price. The commercial department also transfer master L/C on the name of selected supplier. This department also maintains all clerical activities such as maintaining the accounts of daily transaction, maintaining payroll, keeping the accounts of daily expenditures etc. For a smooth manufacturing, the assurance of on time delivery of fabric and accessories is must. The responsibility of supplying accessories to the suppliers landed on the ground of this department. To assure this supply Merchandising Inc. utilizes two sources. One is its sister concern FM. Printing and Packaging Company. Another is the outsourcing from its suppliers of long term relationship. As a result the manufacturer doesn’t need to be worried about the availability of accessories. Quality monitor and control: This dept. supervises the manufacturing process to maintain the quality and scheduled progress of the manufacturing in behalf of merchandising Inc. Final Inspection: For its reputation, buyers usually delegate the responsibility of final inspection on the shoulder of quality. Inspector of Merchandising Inc. The efficient inspection is the responsibility of the quality inspector of Merchandising Inc.
As the name mentions the task of shipping department of M. Inc starts from -receipt of final goods from the supplier factory after the final inspection and ends- with loading of the goods bound for supplier. This department also prepare the supporting documents for export such as bill of exchange, bill of lading, commercial invoice, certificate of origin, packing list etc. • Although for their unsatisfactory services at beginning stage M.Inc. lost some big American buyers but now M. Inc receives order mostly from European countries. Most of these buyers are permanent for their satisfactory services, which shows their effectiveness in achieving orders. • For the both in source and out source policy of accessory control M. Inc. timely receives the accessory and other materials with out any bottle neck situation. • Employers of M. Inc. are satisfied with the existing productivity of the employees of M. Inc.
• The acceptable level of satisfaction of both of its buyers and suppliers shows their efficiency in their existing service processes. • strategy of 4Ps in marketing strategy. • Only a small percentage of their total annual orders is usually rejected by their buyers, which proves their efficiency. • M. Inc. is able to deliver the finished goods on time for the advantage of owning a shipping business. • They overlook the necessity of market research to identify the customer segment and needs. • As they don’t have any personal web site or online advertising. So it is clear that they ignore the importance of these marketing tools. • Although it encourages the customer feedback but any advantageous means is absent in this regard. • It doesn’t provide any official guarantee or warranty to buyers for the products or services they provide. • They don’t provide any training to their employees. • Absence of employee reward system except their normal pay scale. • Nice working environment is a strength for this organization. • Professional pace of work exist within the management. • Existence of technological support such as e-mail, fax, scanner, phone, printing device etc. in the organization. • Company holds international outlooks for exporting. As the buying industry in our country is in the stream of growth the industry provides a good feed to new entrants. So. in this industry M. Inc. as a buying house needs high strategic stakes to survive. In this industry as garment manufacturers are numerous and their forward integration system are not strong for their illiteracy or inability to convince the foreign buyers. Therefore M. Inc. as a buying house enjoy little bargaining tendency of garment manufacturers. In our country buying house industry faces a little bargain over the negotiation as a boon of quota system. As a result the bargaining power of M. Inc. is very little. But this scenario will change after the withdrawal of quota system. In this industry this aspect. is not considered because there is no perfect substitute for their provided service. In this industry there prevail heavy competition among the existing buying houses. There are about 300 hundred buying houses in this country and they compete strongly with each other for the orders from their buyers. So this aspect is a great constraint for M. Inc.
• Communication skills: From its inception Merchandising Incorporation has proved themselves attractive in the eyes of the foreign buyers because of its strong communication skills. For example, as the perpetration of entering the European market the organization has employed personnel with the communication power in Italian language for the convenience of Italian buyers to communicate with them. Even the organization renders time to time information to the foreign buyers on the progress of the manufacturing process of their ordered garment products. To provide higher value in their value delivery process Merchandising Inc. has built the long-term relationship with some competent suppliers. This collaboration makes this organization honest to its commitment of quality and scheduled delivery to its buyers. For its reputation’ of committed organization it has built a marketing network with some prominent buyers. These buyers are not easily vulnerable to other buying houses, as they are satisfied with Merchandising Inc. for its efficiency and effectiveness. Despite effectiveness and efficiency one of the weakness of Merchandising Inc. is its short capacity. For its low level capacity Merchandising Inc. its deprived from potential growth resulting from its present reputation which could be achieved otherwise. Merchandising Inc. is not ISO certified organization. Not to say that, being as a proof of quality, ISO certificate is very much essential for the spreading of its market. Merchandizing Inc. could be more communicative if it had a web site. Much of the business correspondence executed on online. Buyers would feel more convenience if Merchandising Inc. had a web site of its own. With the advantage of increased attraction toward fashion buying houses are enjoying a perineum growth in its industry. This is an opportunity for Merchandising Inc. to increase its sphere own world. In our country Bangladesh with all other employers Merchandising Inc. has the basy access of cheap labor. Bangladesh is a lucrative domain for foreign buyers of garment products. As a result the buying house industry itself is very lucrative to the local entrepreneurs. In our country political instability often hampers the effectiveness and efficiency of business organization. Thereby political unrest is a notable threat to the smooth function of Merchandising Inc.
Buying House industry is a substantial proportion of the industrial sectors of Bangladesh. Compare to other industrial sectors of Bangladesh, this specific industry plays a significant role in the economy of our country. This industrial sector has been expanding rapidly, since its inception. The aggregate order of garments products through all the buying houses sums up to a huge monetary value and thus plays a prominent role in enhancing the GDP of the economy. According to recent survey there are about 200 to 300 Buying houses in the country. Most of them are centered in the capital Dhaka. However, only few of them are in Chittagong. The importance of Buying House and the role it can play in the socio-economic development of a nation can not be over¬ emphasized. The Third world has witnessed phenomena growth in this, over the last decades, and the countries which made a conscious decision to take advantage of such growth, have made unprecedented progress. Examples are in abundance: India, Malaysia, Thailand, china. Garment industry is involved in the production of ready made garment items. They can take order from two sources. One is from local Buying Houses’ another is from foreign buyers. The commonality between Garment and Buying House industry is that both have the ultimate objective to deal with garment exports. The difference between these two industries is that one is in the service industry and other is in the production, meaning- Buying House Industry is involved with the marketing of garment products and the Garment Industry is involved with the production of garment products. Apart from this difference these two industries is very much alike and they share the same problems. If any problem, buying house faces ultimately it becomes the problem of garments producers. The idea of Buying House is developed to perform the marketing activity of garment industry thus in turn to help the producers only to concentrate on production, as they don’t need to be anxious about rIDding the buyers of their garment products. Again, as exporting garments products involves too many layers of activities, and is not possible to be performed efficiently and effectively only by garment manufacturers, the buying house industry has exerting their hands as a true friend helping them to concentrate only on production and thus to ensure efficient and effective export process. Simple wording cannot shed proper light to the Immense importance of buying house industry. There are so many reasons for which it is so important for garments industry. This industry indeed plays a significant role in mostly marketing related activities for garment industry. • Marketing is one of the most crucial part of to day business. If anyone lacks marketing skill he has the danger of sink in the business-. On the other hand innovative marketing skill one need to outperform its competitors easily by increasing its market share by selling more of its products. Like other businesses, marketing is a big factor in exporting garment products. Buying House performs this activity for garment manufacturers. They take the responsibility of searching buyers, convincing them and finally making the deal final. So, producer can fully concentrate in its business. The producer does not need to wont about selling its product since buying house bring them buyers. • Master of every thing means successful in nothing. Exporting garments product involves so many stages from marketing to distribution. If the producers perform all these stages by himself with out the help of buying house, they may lose the efficiency or effectiveness in the marketing activity as well as in the production activity. As a result competitor who is taking the help of buying house may only concentrate on the production and become comparatively very successful in business. So, it is wise for garment manufacturer to take help of buying houses for increased efficiency and effectiveness in both marketing and production and to beat competitors. • Buying houses assures efficiency in total export process. By transforming the marketing responsibilities on the shoulders of buying houses. garment man ufacturers can achieve specialization in production as their functions are limited and it ‘ can increase its reduction capacity with more efficiency and effectiveness. In the same way Buying House becomes specialize in its marketing skills and create new techniques to search and convince buyers and thus perform the activity with greater efficiency and effectiveness. • A producer, who is very much successful in production, may lack appropriate marketing skill to convince buyers. For this reason it is better for him only to. keep doing what he knows best and delegate the rest of the work to the person who is specialized on marketing functions such as buying house. As a developing country, Bangladesh got the quota facility in garment export. Quota facility means allowing a certain portion or percentage of total garment export to a certain country. This is a blessing for the country like Bangladesh. For this quota system buying house can easily get orders from buyers and our country export 250/0 of the total exported garment products of USA. This quota reduces the competition between the international and local buying houses. For this facility now buyer has lees scope to switch to different country. This is a new facility very recently given by European countries to Bangladesh. Under this facility Bangladeshi exporter will get special discount if they import fabric from any of the SAARC countries. Previously this facility was restricted to only home country that is Bangladesh. will get GSP facility only if it buy fabric from its local market. Our country is a member. of so called third world. It suffers from huge unemployment. So here any entrepreneurs are blessed by cheap labor. Again today our country is suffering from speedy urbanization. People are migrating to city areas from villages. As result in the city areas wages are getting down. Our garment industry can take the advantage of cheap labor and become the most lucrative for the foreign buyers for their low priced garment products as a result of the cheap labor. NoLto say that this low priced garment products help buying houses to attract and negotiate with foreign buyers. • Income Tax Rebate: Previously, 500/0 rebate on taxable income generated from export earning was admissible under the Finance Act every year. From now on 50% of the income tax on any income on export will be exempted through incorporation of a new provision in the Income Tax Ordinance itself rather than as a temporary relief hitherto granted under the Finance acts on a. yearly basis. Buying house industry benefit by these rebate facilities under the Finance Act as producer (garment industry) . is able to supply the garment products at lower cpst. • Limit of Export Credit: Exporters may obtain export credit from commercial banks up to 900/0 of the value of their irrevocable letter of credit / confirmed order. This advantage gains buying house industry by providing fmancial initiative to its suppliers. • Utilization of Foreign Exchange: So long exporters were allowed to retain 200/0 of their FOB earnings in their respective foreign currency accounts in US dollar or Pound Sterling. From now onthey will be entitled to retain either 400/0 of such earning or at a rate fixed by the government from time to time, after proper review. However, in cases of export items where import components are relatively high and in the case of export of services, the exporters will be entitled to retain only 7.50/0. Exporters may utilize such foreign exchange for bona fide business purposes. This advantage also encourages garment industry to be involved at ease in the. production which in turn benefits buying houses. • Tax Holiday: To encourage a rapid growth of exports and in order to attract entrepreneurs to export -printed industries tax holiday places a great initiative to the exporters and the existing tax holiday incentive in the garment initiative is ten years. The industrial enterprises enjoying the benefit of tax holiday shall be exempted from deduction of tax at source. As a result they are able to produce the low priced garment products. This phenomenon helps buying industry to be on a strong platform of survival. A) Lack of communication skill: In our country the employees of buying houses posses lack of communication skills. The reason of this gap may be the slow introduction of foreign languages in our country. Not to say that one of the most important skills is the communication skill because it is the first step of attracting buyers. As a result often we become deprived of the good contract with profitable foreign buyers. B) Lack of technical skill: In the industry the two most important function are: quality control & determining CM (Gost of making). But in our country workers provide less technical skills than the requirement because no organized training facilities are provided in our country, even no university or any other organizations, provide any kind of courses relating to these type of skills. As a part of third world countries, our country is vulnerable to political unrest. This political unrest hat:I1pers the effectiveness and efficiency of its business sectors. Success of buying house depends on the on time delivery of quality garment products. But often the buying house shall back upon their commitment to buyers as their suppliers (garment factories) fail to manufacture garment products within the schedule time as a result of any political consequence (i.e., hartal). We have previously said that the success of buying houses depends on timely delivery of qualitative garment products. In our country power failure (Le., while load shedding) doesn’t allow garment factories to manufacture their products on time. As a result buying houses also fail in shipment within scheduled time. In order to perform its primary activities buying houses need to go through some supporting procedures (i.e., establishment of power’ & water connection, banking procedures, shipping procedures). Successful performance of any buying house depends on the smooth accomplishment of these procedures. But in our country bureaucracy acts as constraints against the smooth accomplishment of these supporting procedures. For any secured deal the existence of supporting laws and their enforcement is must. Our country has laws but their enforcement. is very poor. As a result, foreign buyers often feel insecure to deal with Bangladeshi buying houses as they don’t get enough protection by laws. The population allover the world is increasing very fast with the intense increase of fashion trend among people. As a result the demand for garment products is increasing in a high rate. This represent a great opportunity before the buying house industry as intermediaries. Entire world is facing the wave of globalization. Now the world business comes out of the boundary of its own country or nation. Business people allover the worlds are seeking intuitively the low cost, quality, effectiveness and efficiency all over the world. Fashion industry in its generic form is mainly based on cost versus quality. Our country is a red apple for foreign buyers for its lower manufacturing costs. As a result of this globalization, buying house industry can be benefited as it is a part of garment product marketing organizations by attracting more foreign buyers by convincing them on these, advantages provided by our country. Besides increasing demand and globalization, Buying House can have bright future opportunity to survive by the following opportunity giyen to garment investors and foreign buyers by GOB. • Exporters enjoy tax holiday for the period from 5 to 10 years depending on location of the project, and for 15 years for power generation. As a result garment exporters easily can export low priced garment products toward foreign buyers. • 80% – 100% accelerated depredation of actual cost of machinery and plant in lieu of tax holiday. Which again helps exporters to keep their garment product low priced. • Avoiding of double taxation on the basis of bilateral agreements. Tax avoidance is the means of avoidance cost. • Import duty at the rate of 7.50/0 ad-valuation is playable on capital machinery and spare imported for initial in station or- for BMG/BMRE of the existing industry. Which is another maps of avoiding higher production cost. • No duty on imported capital machinery and raw materials by 100% export oriented in industries. It is infect a hot news for the garment industry of such nature. • Tax exemption on the interest of foreign loans and on capital gait, from the transfer of share. exemption also makes a supplier to be lucrative to the eyes of foreign buyers for his lower priced garment products. • Tax exemption of royalties, technical know-how and technical assistance fees. This helps garment export not to incur introducing costs. As R result they are able to supply low priced garment products from their inception. • Exemption on income tax up to three years for foreign technicians employed under registered industries. This helps garment industry to take help of foreign technician for its increase efficiency. • Easy availability of work permits to foreign nationals. Foreign buyers are very much invited thereby cordially. • Six month multiple visa for the investors.’ Investors are we1comed again by this rule. • 330/0 of IPO reserved for foreign investors. Now a day foreign buyers are getting frightened to deal in our country for the recent increase of political unrest in an alarming rate. Today our country can’t assure any foreign buyer a smooth, secured and punctual transaction. So foreign buyers are falling back from their will to place order in our country. Recent movements in consumerism against the utilization of child labor all over the world posses great threat against this industry as the consumerism restricts foreign buyers to involve will us for this matter. In our country we have some scale of gender inequality originated from our culture. Normally in our country, especially in garment sectors female workers are discriminated in their workplaces: they get less salary than male workers, they don’t get any salary in their pregnancy period. Consumerism in the developed countries virulent]y opposes this and foreign buyers feel reluctance to place order in our country where such injustice takes place. As a result it get difficult for buying houses to convince foreign buyers to place order in our country. Our country is categorized as a third world country. Any third world country is seen in the eyes of business people of developed countries as the black skin people defaulter of commitment. So it becomes hard for our buying houses to convince the foreign buyers having the cultural ethnocentrism to place orders in our country. In our country garment export sector is the biggest foreign currency -earning sector. The success of this export sector, to a great extent, depends on the buying houses as they perform vital role in this export marketing process. As a significant part of this export process buying houses in one hand work as a representative of the buyers by selecting competent suppliers, inspecting the quality of the garment products and ensuring on time delivery. On other hand in order to execute the buyer’s order properly they provide necessary guidance and support to the suppliers. In the path of performing their important roles in this export marketing process they face some obstacles from the macro and microenvironments. Macro environment of buying houses constitutes with the industry they supply their materials and the industry of their suppliers. Again microenvironment is formed with the internal environment of buying houses. To overcome the barriers of their smooth, effective and efficient performance a careful analysis must be made on the root cause of their poor performance and the possible ways to overcome the barriers and to advance toward a better performance. This paper is devoted to above-mentioned dimensions and has tried to give buying houses an orientation to a higher level of performance. The general objective of this study is to determine the present activities of buying houses and the significance of their role for smooth, efficient and effective marketing process of garment products overseas. • To examine the export marketing process of garment products through Buying Houses from our country. • To examine its efficiency and effectiveness. • To investigate the obstacles to the efficiency and effectiveness of export of garment products through Buying, Houses. The first and for most important job of Buying House is to search for foreign buyers who want to import garment products for their own country. 1) The preliminary source of searching buyers once used to depend heavily on the record of Bangladesh Export Processing Bureau know as EPB or simply the list of Bangladesh Garments Manufacturing and Export Association known as BGMEA. But theses records or lists of importers delivered by EPB or BGMEA are sometimes backdated meaning some of the listed importers may The medium of the questionnaire was in English. The questionnaire was administered face to face, with the respondent either’ -by. ticking the answer by the respondent himself or by answering the questions of the researcher. Some of these were filled up after a small conversation relevant to the subject of the study. As Philip Kotler has defined marketing as the social and managerial process by which people and organization gets whatever they want by creating, offering and exchanging the goods of value with each other. Not are currently importing or new importers names are not mentioned in the list as the lists or records are quite old. For these reasons nowadays buying houses are very much encouraged to search buyers through method. 2) The second source of searching buyers is to contact with the respective foreign country embassies of our country and to ask them to provide the list of garment importers of their country who import garment products from our country. The Buying House can also send its representatives to foreign countries and over there they can contact our local high commission who has also the records of importers. They can help the Buying House representatives in this respect; So, either of the ways Buying House tan get information of importers. 3) The third or most updated way of searching buyers is to get information of international buyers from the web sites and then contact with them through email, fax or telephone. This way of searching buyer is very new and helpful in this technological age. With almost no money they can contact with foreign buyers and make the dealings. However, since our country has yet not been so technologically updated, this method of communicating buyers is not yet been very popular. 4) By organizing different exhibitions or trade fairs in our country or in the foreign country and by participating those places Buying House can present themselves in front of foreign buyers of different countries. This method of searching is very useful. These kind of exhibitions are often held our country where both buying houses and foreign buyers participate and gets to see each other, know each other and are able make deals. 5) The fifth and most commonly way of searching buyers is getting new buyer by the exiting buyers. Sometimes Buying House. request its existing buyers, to give them some new buyers. Their existing Buyers who are satisfied by doing business then give them new buyers. This method is very trust worthy because, in one hand Buying Houses get the. Information of that buyers with the reference of its existing buyers, on the other hand a new buyer can also feel safe as he gets the reference of the buying houses form his known person who is already involved in business with them. Once the buyer received the introducing letter from the buying it is his time to introduce himself to the buying house. Actually in this letter buyer informs the Buying house about his demand of the product. A typical inquiry sheet includes the requirements of the products in quantity, item description, order detail and order specification etc. This inquiry sheet is very important to buying house because with the help of this inquiry sheet they set price and cost. In the inquiry sheet buyer also want ask the buying house to inform him the total price that the buyer have to give for his order. Then the job of merchandising starts. The merchandiser first determines what are the things required to make an unit or a dozen of an order. Then he estimates the per unit fabric consumption, accessory consumption, cost of making (CM) and other costs such as freight cost. Price is usually set per dozen. Service charge of a buying house is implied in most cases. It is because most of the times buyers tell buying house to set a price in such a way so that it covers the charge of a buying house in such case buying house set a price which includes its charge but it is not explicitly mentioned any were. However sometimes buyer also give an option to the buying house to include its charge per unit or dozen. Up to this stage all the information is transferred between both party is usual1y done by email fax, or phone. Sample can be defined as two types. One is the original sample that the buyer sends to the buying house and another one is known as counter sample, which the house sends to the buyer for the buyer’s approval. Once the price is set the task of buying house is to make a sample of the product. For this buyer has two options. First one is buyer can buy the original sample of the product from the market of his country, send that to the buying House and ask the buying house to make same copy of the sample. Second option is buyer can make a sketch of the product by using computer-aided design (CAD) and that to the buying house and ask them to make an original sample according to this. The buying houses then make counter sample of the product and again send it to the buyer for final approval. The buyer can check the sample to ensure the quality, size and color of the fabric and accessories. In case, the buyer not satisfied with the counter sample then he send. remarks to the buying house and ask them to send again correction sample. This is the job of the commercial department of the Buying House. They prepare the pro-forma invoice. The pro forma invoice includes the quantity of the buyer’s order, its unit price and the total price. This pro forma invoice is very important to avoid any sort of communication gap or future confusion between both parties. When the buyer receives the pro forma invoice, he sends work order to the buying house. In the mean time the buyer the buyer forward the pro forma invoice to its bank to open a LC (Letter of Credit) in favor of a buying house. The buying house needs to be very careful in selecting its suppliers where it will place the buyers’ order. The future relationship between buyer and buying house is very much dependent on this because if the supplier fail to make product as buyer specification or as per schedule, buying House will loose this buyer in future. Usually the select the supplier on the basis of certain things. Firstly, they examine whet ier the supplier has enough machine capacity and machine speed to do the work and to finish the work on time. Secondly, they also see whether the supplier has adequate administrative setup to prepare all the necessary documents for export such as shipping document, document of CO (country of origin) issued by EPB to export the goods and others. Another most important thing in selecting supplier is its banking status. Now a day this is given the highest priority. Supplier usually needs to open back to back LC (BB LC) in order to import necessary raw material to make the product. The capacity of opening BB LC means that the supplier has a loan capacity. But sometime bank does not allow the supplier to open LC due to its bad debt or previous bad reputation. In such case buying house has to change the supplier and find another supplier who has good banking status. Selecting another supplier is time consuming and expensive wl”1ich result late delivery and poor quality of products. So in order to avoid this kind of situation Buying House needs to be very careful in selecting suppliers. Once the Buying House is. confirmed that the supplier has the ability to do the work they negotiate for the price. Once the price is set with the supplier the commercial department of buying house immediately transfer the master LC in the name of supplier. For immense support and service of Buying House today, the garments is earning over seventy percent of the nation’s total foreign currency. In addition to earning lion’s share of the country’s total foreign exchange, this sector has brought about a positive. transformation in the overall socioeconomic condition of the country. Since its inception till date, the industry has earned nearly US$22bilIion (tk.103.4 thousand core) the country. The Value Addition portion has been about US$6.6 billion (TK. 31 thousand crone). However, the earning is approximately about four times the investn1ent the industry. Estimated, present total investment is about Tk. 16,300 core. 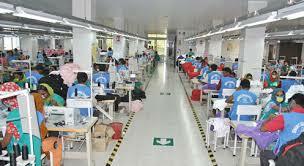 Garment is now the only base for further industrialization in the country. Presently, the total fabric requirement of out captive market is for about 3 billion yards, of which about 85-90 percent we import from abroad. Fabric requirement is increasing at the rate of 20% per annum. This offers a tremendous ‘opportunity for developing textile industry in our country. Thanking the global context within the purview of open market economy by the year 2005, we can exploit the benefit of the potential textile industry of the country by immediately establishing 60 moderate size composite textile mills, capable of producing 30 million yards of fabric per factory. With local capital, This size of composite mills satisfies the economy of scale in our country. Besides, a large number of ancillary industries have been emerged and growing as wel1. Estimate shows about 80% percent of garment accessories like cartons, threads, label, ploy bags, gum tapes, shirt board, neck board and shine ace etc. are now being produced in our country, contributing to the national GDP. It is creating further employment opportunities in the country also. Buying Houses are increasing their number of orders for RMG products every year as a result RMG industry of Bangladesh has a meteoric rise, from less than 50 factories in 1988 to over” 2700 by now. In the same period the level of employment has risen from some 10,000 to approximately 1.5 million (15 lac) today, with its share of employment in the manufacturing industry increasing from a mere 2 percent to 15 percent. About 90 percent of the workers are women, constitution almost 70 percent of all female employment in this nation’s’ manufacturing sector. This has created a vast scope for employment and uplift of the hitherto neglected section of our population, thus radically transforming the socioeconomic condition of the country. The Buying house sector has been playing role as one of the main catalyst contributing to the tremendous development of Banking and Insurance sector in our country. Presently, our commercial banks are earning over TK 1600 cores per year from garments export. By now, some bank charges have increased to even three times the charges in 1985, whereas our last ten years total bad and doubt fallibility does not exceed TK. Sob Crosse. Insurance companies, even after reducing different rates by about 54 percent, are presently earning about Tk 150 core per year from the garments export as various types of premiums for insurance policies. The main increase in the shipping business in Bangladesh including setting up of a several container yards (including an Inland Container Yard at Dhaka by the Bangladesh Railway), expanding the port facilities to handle large containers, introducing special container carrying trains, and the increasing of cargo handling and storage facilities at the ZIA International Airport have been due to a garments export. The government is earning TK. 40 core from garment exports in addition to its regular corporate taxes. About 0.2 million people are engaged in waste (mainly, the waste cut pieces of fabrics) recycling industry. With these wastes, they are stuffing toys, pillows, quilts, cushions etc. and earning about Tk. 1500-2000 per month. With the opportunity of earning more, girls now want to enjoy their lives. This need is helping girls avoid early marriage and frequent pregnancy. It is contributing to the birth control of our country also. About 20000 overseas apparel buyers and their representatives visit Bangladesh each year to meet the local manufacturers and exporters. Taking an average stay of three days and spending approximately US$ 500 per day. This sector earns about Tk. 140 crores annually. Lots of women are today engaged in making garment products, these women workers are enjoying recognition and dignity in the society. They have the capability of eaming, they are now well treated by their families. They are no longer any burden to their families. The road transport business has been expanded because the lion’s share of cargo, moving between Dhaka to Chittagong and Dhaka to Beanpole by road, is on account of the garment exports. Those who once started transportation business with rented trucks, many of them by now are the proud owners of even ten to twelve trucks. As blessing of this sector each day, on an average, trucks are taking about Tk. 2 crore a day, This transport sector’s contribution to the GDP now stands at about 12 percent. The 1.5 million workers in the industry are appearing in the consumer: market with a demand worth US$ 1.70 million (Tk. 7.5 crore). An increasing demand for moderate cost cosmetics, sharee, footwear, fast food and other consumer products is also a direct result of about 1.5 million new consumers. Most of the employees of Buying Houses are not enough skilled to perform their job. In the Buying House there are some post such as quality controller, design maker, merchandiser that require technical skill to be performed but as the employees do not have any institutional training they lack such technical skill. On1y way they can learn is through on the job training. Convincing foreign buyers and establishing long term relationship with them is one of the most important task of Buying Houses. To perform this job employees of Buying Houses need proper language and communication skill. 13ut in our country as the education medium is Bengali and there are less opportunity to learn other foreign languages therefore employees lack communication skill to convince and establish long term relationship with foreign Buyer. There are no such courses designed in any of the public or private educational institutions of our country which can give employees of buying houses training specifically to perform t);1eir job. As a result people usually coming to this field are from different background. They are usually unskilled and inexperienced. Fleeting tendency of Employees of buying houses have a very high tendency to switch their jobs. This may be because of their poor salary structure and no service benefit. As a result whenever they find any better offer they try to switch they’re existing one. Employees involved with this industry have fewer chances for career development because of small structure of the industry. As a result less people are interested to come to this field. Employers of buying houses are usually autocratic with their subordinate employees as a result of which employees are often demotivated to work. They feline they are always under pressure. As the employees of this industry do not have any union to support their claims, the employers always neglect their demands. As the buying house is related with garment export, any problem occur in any stage of export channel from manufacture to distri. bution ultimately becomes the problem of Buying House. Thus the following problems of garments export can be consider as an indirect problem of buying houses. 6. Tempormy bonded warehouse for garment industry at the airport. 1. Force / demand loan. 2. Back to back P.A.Djforce loans. 4. Exporter cannot open the LjC due to clear the liability. 5. Stock-lot problem cannot permit BBL/C open. 7. Bangladesh Bank does not provide enough money for cash incentive. 10. Exporting goods against stock lot. 11. 20% discount is not allowed in the National Bank. 12. Bangladesh Bank does not relax the discount amount. 13. L/C acceptance charges of the commercial bank. 1.4. Procedure of making down payment for rescheduling loans. For which of the following reasons you are not satisfied with your buyers. 1. For which of the following reasons you are not satisfied with your buyers. The criteria of the reasons of dissatisfaction are selected, as the satisfaction of the buyers is the important for the survival of the Industry. Among the criteria, high bargaining tendency in exchange is one of most selected criterion among all the other criteria. This criterion is chosen to investigate whether foreign buyers show the bargaining tendency and how much that is in this industry. With the highest response it is revealed that the tendency prevails and it dissatisfies the respondent buying houses. The second criterion is chosen for the questionnaire to look into whether the foreign buyers are patience to different undesired contingencies in our country. The respondents with another highest response has shown that they face strong impatience d lie to this type of contingencies. The third criterion is chosen to investigate whether buyers undesirably reject garment products and how the buying house views it. Here it is revealed that buying houses are strongly against the product rejection by the foreign buyers. However, sometimes they are victims of such situation. The fourth criterion is chosen to investigate the existence of fleeting tendency of foreign buyers. . This criterion reveals that’ a portion of buyers do not value the long-term relationship with buying houses rather for trifling reasons they break their relationship with existing buyers. The fifth criterion is chosen to see the existence of cultural ethnocentrism among the buyers. We have seen that the buying houses hardly face this problem. The reason of dissatisfaction towards the suppliers (garment manufacturers) of buying house is asked to investigate the criteria that may hamper the smooth function between the buying house and its suppliers. First criterion is chosen to investigate the importance of suppliers product quality. With its highest responses it has found that buying house is often’ disturbed for the poor product quality of suppliers. The second criterion is chosen to investigate the emphasis on the scheduled product delivery by garment manufacturers. Here it has found that buying house also gets very much annoyed by the late, delivery of suppliers. The third criterion is selected to see the emphasis of buying houses to the suitable location of garment manufacturers. With its response this criterion has shown that buying houses poses insignificant value on this matter. The forth criterion is chosen to determine the Fleeting tendency of suppliers toward the buying house. The result shows that only few number of suppliers holds this tendency. The fifth criterion is chosen to see the bargaining tendency of suppliers. From the table it is clear that the supplier do not posses high bargaining tendency. These questions were asked to find out severity of major or minor obstacles to RMG export process., as these problems of export process makes the job of buying house difficult to convince buyers. The first major obstacle, natural calamities and political crises are responded by all of the respondents and ranked as first. This reveals that the activities of buying houses are very much vulnerable to this type of obstacle. Failure to deliver on time got the rank of second major obstacle from the answer of the respondents as it is another suffering to the smooth functioning of this export marketing process. The third obstacle is inefficient garment workers- a virulent gangrene in the production systenl. This criterion is also marked by more than two third of the respondents thus it is ranked as third. Fourth criterion is the unproductive labor. Their barren productivity, as hampers the scheduled production process, is ranked as fourth major obstacles from the answer of the respondents. The final one is the fraudulent in trading which llleans the violation of the rules in the agreement by the garment manufacturers. This is found as less frequent among the other major obstacles to RMG export, to the eyes of the buying houses. The next part is the minor obstacles, which have the minor impact in the smooth function of RMG; export thereby poses minor impact on buying house. The highest response among the minor obstacles is the rejection of the products due to the inefficient supervision of the production process of buying houses. All the respondents responded it. indicating a frequent minor problem. The second one, was the ineffective communication skill posses by the buying houses. A large part ‘of the respondents has mentioned it as the minor obstacles as a result it got the second rank. The third ranked minor obstacle was the utilization of child labour in Bangladesh and its related aspects. Here we have seen that although the consumerism is against this utilization but it is sometimes defeated for the availability of low cost labour. Fourth ranked minor obstacle was the aspect of gender inequality in Bangladesh. Buyers allover world have a opinion against this matter. As result they are sometimes unwilling to order in our country where this gender inequality prevails. The fifth ranked minor obstacle was the lack of sound based heavy garment manufacturing industry in Banglades. As a result we are deprived from a high level of orders which could be avail otherwise. How ever the response to this question is 25%. 4. Which of the following problems of a buying house can be treated as major / minor. This question is asked to know the severity of the major or minor problems, faced by buying house in their normal business operation. This question is segmented in two sections: major problems & minor problems. After getting the respondent answer I have showed the rank of major and minor problems separately in the above table according to number of frequency of each criterion. Major problems are those are those that have serious harmful impacts on the activities of buying houses. One of the major problem faced by the buying houses is the poor product quality of the RMG products. For this poor quality buyers become dissatisfied and avoid the further contact with the same buying houses. Almost every one agreed and marked it as a major problem. Thus it is rap-ked as first. Short shipment or the failure to supply the desired products is another significant problem of buying house with the huge response of the respondents at is ranked as second. Stock lot or the cancellation of total shipment is another important problems and marked by 730/0 of the respondent thereby ranked as third major one. Document delay and the improper document are the concluding major problems of buying houses. 800/0 of the respondents said that the shortage of backward linkage industry is a problem for the buying house industry thus it is registered as topmost minor problems of buying house.. With a slight difference in response commission recovery problems has defeated the poor accessory supplier in this category. So, it is clear that the activity of buying houses is hampered by an of above minor problems. 5. Rank the following statements regarding the backward linkage industry of garment export. These questions is asked to know the importance placed on backward linkage industry by the buying houses as a necessity of its smooth functioning. These questions have revealed the causes for which buying houses faces problem to get accessory or other material from this industry. The first criterion is the poor product quality or supply of the accessories. As a result the smooth production of RMG garment products is hampered. For this reason the respondents have ranked the ‘poor quality of the product’ as the topmost. The second criterion is asked about the absent of the industry supplier of accessories in the production process of RMG products. Although if is ranked as the second but from the data of the table it is clear that majority of the respondents agreed with the statement. The third criterion is the lack of consciousness of the accessory suppliers to understand the consequences of poor or late deliveries of their products. Huge number of respondent also agreed with the statement treated this problem as major. 6. Do you face any problem in your supplier selection process. This question was asked to investigate the problems in selecting the effective and efficient suppliers. The selection of effective and efficient suppliers is must for the effectiveness of export marketing process of RMG products. The highest criterion is the tendency of buying houses to remain attached with the existing suppliers ignoring the importance of finding out the more efficient ones. This is a traditional tendency of business people to depend on the existing stakeholders. This is thereby is a restriction to choose the new efficient suppliers. The second one is the personal relationship of buying house employees with suppliers. This- is an important reason of inefficiency in the selection process of suppliers because in this process expert employees have influence and their bias may distort the effectiveness of the selection process. The third criterion is the failure to select the desired efficient suppliers because their power of choice hecomes limited while the excess demand is created by seasonal effect. The fourth criterion is the failure to understand whether a new supplier will be committed to the agreement because he is not tested previously. 7. According to your opinion what percentage of total order of R.M.G. Products do buying houses per year bring in Bangladesh? This question is asked to know the effectiveness and efficiency of buying houses in bringing RMG orders for the country. Majority of the respondent believes that above 70% of total RMG buying houses brings order. However 31% said it is in between 50% to 70% only 16% said it is less than 50%. 8. Do you think the percentage of RMG products brought by buying houses will increase after the withrawal of quota? This question is asked to look into the blessing of quota in the export marketing process of RMG products and thereby its consecrate towards the buying house industry. Most of the respondents are alarmed about the condition of buying house effectiveness after the withdrawal of quota system. Again, a small percentage of respondents are optimistic about the increased efficiency of buying houses. 9. What is your cornment regarding the quota free environment of this industry after 2005? Most of the respondents have said the dismal future of buying houses after the withdrawal of quota. Most of the respondents have uttered that the foreigners will be free to choose the efficient garment manufacturers as over the world and thereby they will not find us lucrative because of the inefficiency in RMG export marketing process in our country. A portion of respondents has said that the buying houses will be jobless for the lack of law order enforcement of our country and the liberty of buyers to choose the efficient and profitable suppliers. Another portion of them has mentioned the fair of buyers to the political instability in our country. As a result they will show the negative attitude toward our country after 2005 when they will be freely able to choose their RMG products suppl1ers. Again some said that after 2005 if this growth has to be maintained the government will have to take the initiatives to attract the foreign buyers. Finally they have said that this RMG products marketers should start preparation for that period. And this preparation should be started with the removing our inefficiency and ineffectiveness in the export marketing process of RMG products. The positivists have mentioned about the removal of inefficiency and ineffectiveness of present export marketing process after the year 2005 and the improvement of orders for this reason. 10. Approximately what percentage of your total order per year is rejected by the foreign buyers after your final inspection? In this question, where the buying houses’ efficiency is implied, the highest efficient buying house responded with 4% percentage rejection. On the other hand the buying house which has the highest rejection was 17%. 11. Do you take any promotional strategy in order to attract buyers, if you do, which of the following strategy you take? These questions is asked to know about the promotional attempt taken by the buying houses to attract foreign buyers. The low emphasizes on promotional attempt has revealed the apathy or the little knowledge of buying houses about their future. First criterion is online advertising, the mostly used promotional system of current world. Here t have seen that our buying houses emphasize a little this media. It might be the result on stiletto introduction of this promotional system in this buying house sector in our country. The second criterion personal selling is also little emphasized by the buying houses. This might be result of the cost involvement in this promotional activity or the absence of this practice in this industry. The fourth criterion trade fair exhibition is little more emphasized by our buying houses. Reason for this Inay be in our country traditionally this promotional strategy is followed. The first criterion is very much important in the view to maintain proper quality. Here we have seen that each buying house is anxious to find qualitative suppliers. The second criterion is chosen to look into the emphasis of buying houses own activities to. maintain the quality of their ordered products. The mutual first position of this criterion on this ranking has revealed that puying houses are ready to take activities to maintain the quality of the products as they know the value of the qualitative products. The third criterion is selected to know that how much emphasize buying houses put on the utilizing quality controller as the weapon of maintaining quality. The perfect hundred percent responses have reveled that the buying houses regard this system of employing quality. controllers to supervise and maintain the desired quality of the products. The fourth criterion is chosen in the questionnaire as this is a controversial issue that whether the buying houses are ready to sacrifice profit to gain the quality. The third P9sition refers the situation that buying houses equalizes the cost with quality and tries to achieve success in both. The fifth one refers that only few buying houses maintain periodical reporting on quality. The following findings are perceived from the answer of the questionnaire. Through these findings I tried to present the existing scenario of buying house industry of Bangladesh under two classification. Under First classification the finding regarding the efficiency and effectiveness of buying houses is presented and under second classification the findings regarding the present and future problems of the industry is presented. • According to the survey most of the buying houses are not efficient in supplier selection process because of their tendency of long time inefficient trade, harmful employee bias and lack of discretion to certify the efficient suppliers for the first time as the soar of the system. • The study also shows that a large part of RMG orders are brought annual1y by the buying houses vvhich determines their effectiveness in bringing order of RMG products but tneefficiency remains unknown. • Buying houses axe anxious about their fate after the withdrawal of the quota system after 2005 which indicates they present level of inefficiency of trade for which they are worried. • While Jooking into the efficiency of backward linkage industry it is discovered that this industry is afflicted with poor product quality, inadequate capacity and the lack of consciousness to committed delivery. • It has found that the foreign buyers reject small portions of ,goods shipped. It is a good sign for buying house although indicating the lenient view of foreign buyers towards the buying house. • After recruitment of employee, buying house should provide them three t6 six month training to learn the technical work to perform the technical job such as the job of merchandiser, quality controller, quality inspector, sample maker etc. • The buying house should provide money to its employee to develop’ communication skill in particular language in order to communicate with a particular buyer for the buying house. • Instead of full autocracy or democracy, the employers of buying house should show lenient view in all aspects so that they get motivated to work. • Employee pay structure should be consistent with the employee . work pressure, in order to stop their tendency to switch job. • Buying house should introduce service bonus or service benefit in order to encourage and motivate their employee. • Having no visions of prospects the buying house industry in our country is bound to suffer from the worst deterioration with their withdrawal of quota system. So the only remedy to develop this scenario is to strengthen their infrastructure through combined effort of both govemment and non-govemment for proper support and facilities. • Encourage people to develop industry such as threat, button, interlining and other packing materials treated as backward linkage industry of garment export by make short term or long term contract of taking goods so that buying house do not have to import those at higher price or the local supply can the fulfill the required demand of the industry. • Government of our country should also provide incentives to develop backward linkage industry of RMG export, for the smooth supply of accessories by buying house to garment factories. • Company owned accessory supplier can also the developed to maintain quality or on time delivery. • Buying house should be more careful and attentive in monitoring the production of the garment manufacturers so that production goes on schedule and any unwanted occurrence such as short shipment may not occur due to late delivery¬. • In the findings T have mentioned that buyers do riot want to negotiate on quality. So, maintaining product quality for buying house is very important. To maintain appropriate quality, buying house should take necessary steps such as training course for their quality controller or inspector etc. • For improper document or document delay buyers cannot receive his product from the ship in his country for which relationship between he and buying house may break up. So buying house should be always careful in preparing right documents. They also should send documents at right time. • The total industry should keep in mind that they need a truly international outlook for exporting to attract buyers as well as long-term commitment with both of their buyers and suppliers. • The total industry must achieve an international reputation for quality to challenge the quota free environment. • They should ensure that they have all the resources for garment export. • They should start marketing through trade fair. • They should start marketing through internet. • Requirement of obtaining approval from Bangladesh Bank for creating Forced/Demand loan by the lien banks should be withdrawn. • Back to back A.D/Force loans should not be considered as default loans. Loans of this nature should be converted into interest free block Accounts and amortized against future proceeds. • The overdue F.B.P created against the liability of any L/C should also not be considered as default loans. • Exporters failing to clear the liabilities in case of Back – to back P.A.D / Forced Loans, overdue F.B.P e.c.t. Should be allowed to open L/Cs. • Bangladesh/bank should provide the lien banks with adequate funds for necessary payment of cash incentives to our exporters without delay. • Mandatory compulsions set forth in the ECG policy should be waved. • Procedure of obtaining prior permission from Bangladesh Bank for exporting goods against stock-lot should be withdrawn. • Negotiation Bank should be authorized to take into consideration for deciding upon discount unto 20%. • From the date of document negotiation, forty-five days should be allowed for fund remittance. Overdue interest should not be charged in the event if remittance is delayed. • All private sector commercial banks should immediately cease charging L/C Acceptance charges like the nationalized Banks of the country. • Fresh laws should be enacted announcing that the Banking Co1J1panies Act passed by, the Jatio Shangsad (The parliament of the country) on 13th March 1997 is not applicable to the export-oriented RMG sector of the country. • Procedure of making down payment for rescheduling loans should be withdrawn. It should be rescheduled in accordance with the applications, when submitted, by the exporters concemed. In such cases, the rescheduled amount may be adjusted by charging @ 20/0 on the future exports proceeds. Legal action may be taken in case any of the exporters fail to adjust the dues after three consecutive rescheduling. • In case of Stock lot, the requirement for submitting statement by the commercial banks to the NBR should be waived. • RMG exporters should not be held responsible if proceeds against their exports are not realized owing to the reasons beyond their control. • Opening of LO / C based on Realization Clause should be reintroduced. • To strengthen the security in cargo shade of Airport forming and to take necessary steps to exporting through air at the pick time of RJVIG. • To waive the high royalty rates at specific times of the tear so that the emergency import of raw material and export of readymade garment could remain steady¬. • To formulate a joint action plan with the chairman of the BG MEA standing committee on port and transport. • Duty free market access should be allowed for essentially all products exported by the LDC’s on a non-reciprocal basis to improve their economies. First of all, I did not find any secondary data specifically on the buying house of Bangladesh. For this reason, to get the answer of certain questions I had go through people’s opinion. While doing the survey lots of people did not want to respond to many questions. Sometimes they even did not fill out the questionnaire properly for the busy schedule. For this reason, sometimes I had to ask them questions from my questionnaire instead of giving them hard copy. Secondly, Time was one of the major constraints. As our intemship program is only three-month long, it was difficult to cover and collect all the necessary materials for completion of such a large report within this time boundary. Finally, political unrest of our country such as strike or hartal was major problem in this regard as it is difficult to go out and work during that time and to maintain the work schedule. Garments export contributes major foreign exchange to our economy. To ensure a rich flourishment it needs a channel, which will bridge between buyers and manufactures of garments a win- win relationship. No doubt, role of RMG Buying House Industry, marketing to distribution, is very important to establish this bridge. However the exuberance of foreign currency through garment export is very much dependent on the effectiveness and efficiency of this industry. So removing all its inefficiencies and ineffectiveness this industry should move ahead with a vision to support the garment “export of our country especially to face the challenges of quota free environment after 2005. History Analysis of Pepsico Inc.